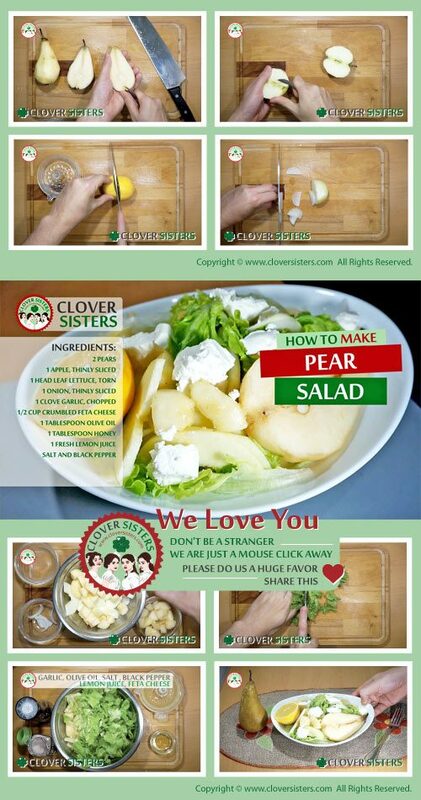 This an incredibly delicious, yet really easy to make salad with fresh juicy, sweet pears is one of the best salad I've ever eaten and quick enough to be the busy night family dinner. 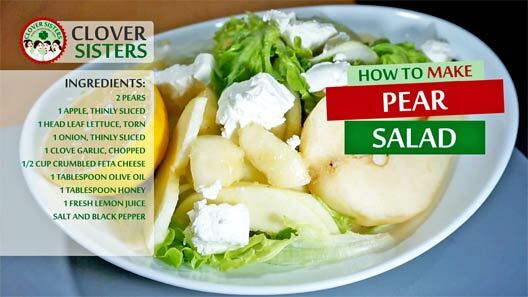 In a large salad bowl, add the pears, apple, lettuce, onion, feta cheese and garlic, toss to combine ingredients. Pour over the extra virgin olive oil, honey, and lemon juice, salt and fresh ground black pepper to taste, and serve.